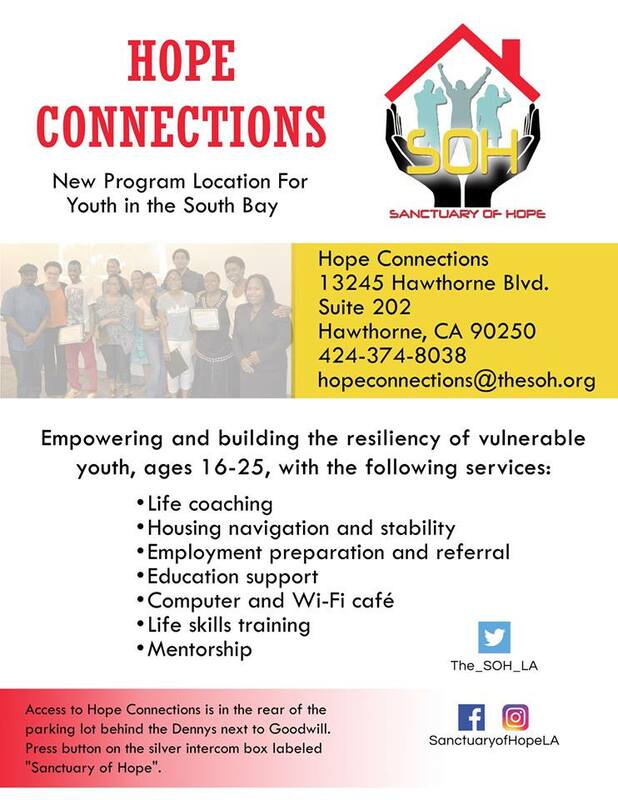 Hope Connections serves the northern South Bay communities of Inglewood, Hawthorne, Gardena, Carson, and Lawndale. Services include general life coaching and counseling, housing navigation assistance, rapid rehousing, linkages to subsidy programs, and education support. Operation hours are Monday through Friday, 10 am – 5 pm. Some evening workshops on Tuesdays 6 – 8 pm.